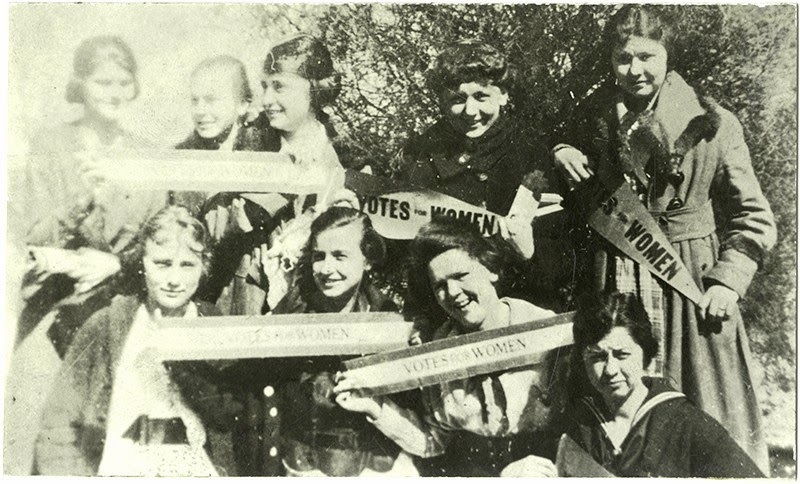 Courtesy of the Eastern Cabarrus Historical Society. "Better schools with longer terms will add in many ways to the general prosperity of the people. They will make the county a more desirable place...to live in. Better school facilities in the county will tend to promote greater interest in farm life. Better schools in the county will render it unnecessary for farmers to move to town in order to educate their children. There ought to be a good school in the easy reach of every boy and girl in the county." 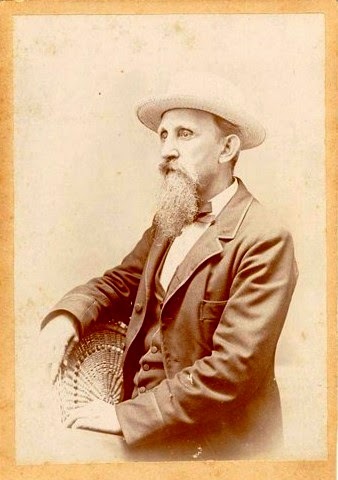 H. T. J. Ludwig, the eldest child of Jacob Ludwig and Sophia House, was born January 17, 1843, and lived in Mount Pleasant. 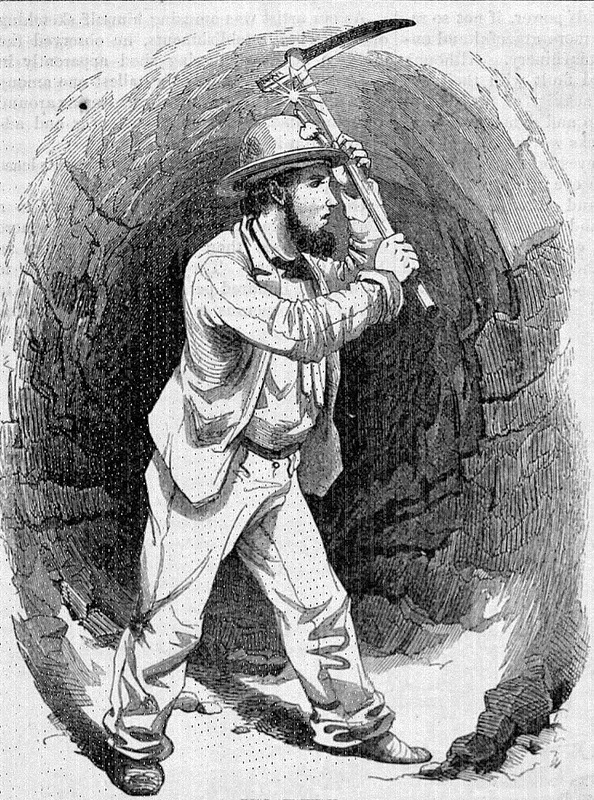 He was a college student in Cabarrus when he interrupted his studies to enlist, at age 18, in Company H, 8th North Carolina Regiment, on August 6, 1861. Ludwig served as a private and drummer in the company known as the Cabarrus Phalanx. After the Civil War ended, Ludwig completed his education and became a mathematics professor at North Carolina College in Mt. Pleasant. Known as Professor Tom, Ludwig was a staunch supporter of education. He died July 28, 1900 and is buried at St. John's Lutheran Church Cemetery. Ludwig viewed the question of local taxation and local support of schools as a matter of great importance. His arguments, however, did not sway his fellow voters. The August 12, 1897 Concord Times reports that the tax was 'overwhelmingly defeated all over the state." None of the 11 voting Cabarrus townships (Township 12 did not vote because Concord already supported town schools with a local tax) passed the measure, and the total vote was 286 votes for, 534 votes against. H. T. J. Ludwig's article and the school tax election results are available in the Concord Times. Surviving issues, from 1885 to 1905, are on microfilm in the Concord Library's Lore Local History Room. 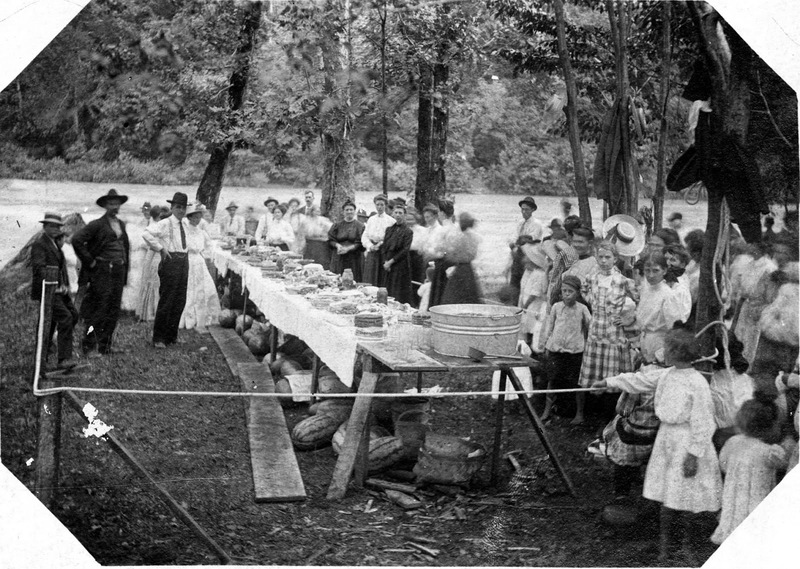 Family and church activities remained at the center of Cabarrus life in August of 1914. Photo courtesy of Digital NC. Europe entered into WWI on July 28, 1914. In the first weeks of August 1914, leaders in Raleigh were concerned with the "demoralization of our foreign trade" with Europe and the effect on cotton and wheat prices. On a local level, Cabarrus County continued to focus on family and religious life. Most would not feel the consequences of war on a personal level until the U. S. entered the conflict in April of 1917. 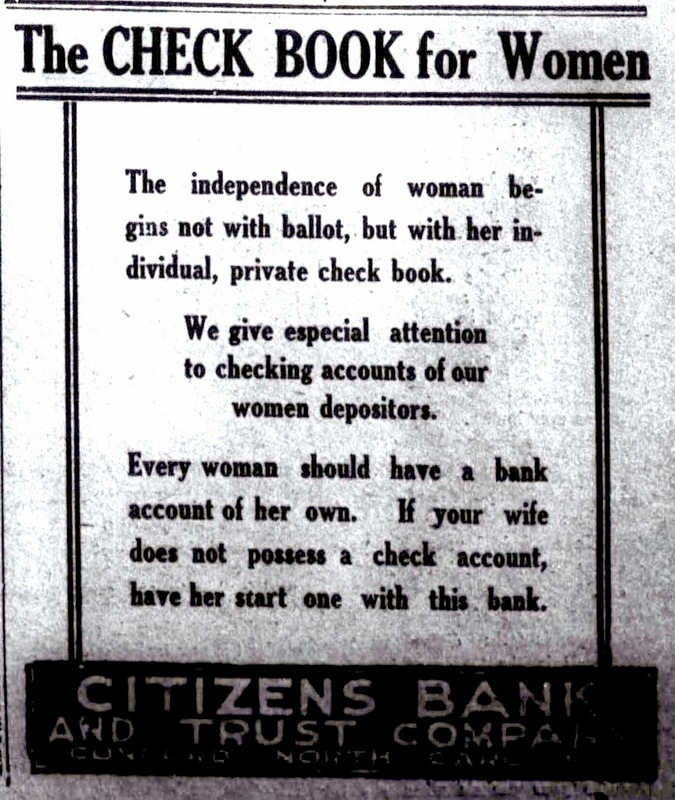 The following items came from The Concord Daily Tribune, August 4, 1914. "Hot, dry weather prevails here. Crops are cut one-third off on account of drought and chinch bugs are doing considerable damage to the corn crop in this section. Mr. Henry Furr and Miss Bessie Furr, both of Harrisburg, were united in holy bonds of matrimony on last Tuesday, the young couple being joined together at Harrisburg by Squire Oglesby. The bride is the daughter of Mr. A. L. Furr and the groom is the son of Mr. Martin Furr. We wish them a long and happy life." "The people are ready for the big meetings and picnics now. Some of our people are going to attend the meeting at Love's Grove Church, near Garmond's Mill and we hope to have a good meeting. The meeting will start on the second Sunday in August and everyone is invited to attend." "The Winecoff Reunion, held at Centre Grove Church last Friday, was well attended. Much valuable information was learned about the family as it first started in America. Two dishes were shown which were brought over by Mr. Michael Winecoff. They now belong to Miss Mary Winecoff. The Missionary Society of Mount Olivet Church will give a lawn party on the Winecoff school grounds next Saturday afternoon and night. There will be a ball game and other entertainment free of charge. After the game there will be a box supper to which all are invited. A contest will be held for the prettiest girl and the most popular boy of the occasion.Votes are given with refreshments." "Mr. Luther C. Overcash died last Wednesday morning at 2 o'clock after a brief illness of Bright's disease [kidney disease]. Mr. Overcash was a prosperous farmer and well thought of by all who knew him. He was a lifelong member of Enochville Lutheran Church, where his remains were laid to rest, the funeral being preached by his pastor, Rev. O. B. Shearouse. He leaves a wife and nine children to mourn his loss, who have our sympathy in their bereavement." 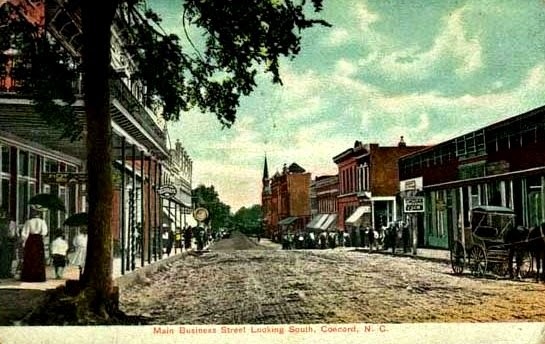 Social life in early Concord and Cabarrus County usually centered around the church and the county courthouse. For many hard-working people, weekly church services were a welcome chance to put aside household chores and farming tasks for a few hours to worship and visit with neighbors. Court sessions held four times a year provided opportunities to see old friends and transact business county-wide. There were other entertainments to be found, however; politics, civic organizations and various social clubs also provided focal points for persons of like interest to gather and socialize. One interesting entertainment was the LaFayette Ball. Although a year had passed since the visit of the Marquis de LaFayette to North Carolina (see Cabarrus Genealogy Society blog posting from May 16, 2014), the popular Frenchman and his travels through the country were still a topic of conversation. 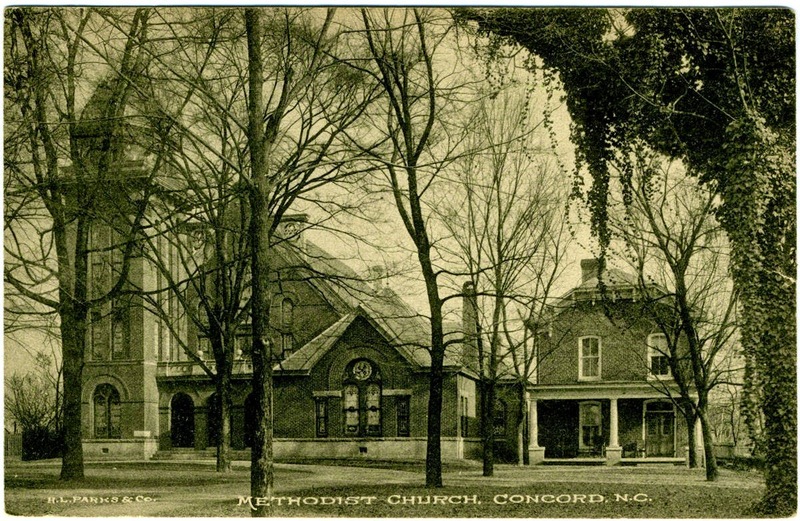 For $5.00 ($101.41 today), anyone could attend the event held at George Squires' Inn on North Union Street in Concord, where the current Cannon Library now stands. However, one of the most unusual event has to be the giant squirrel hunt. 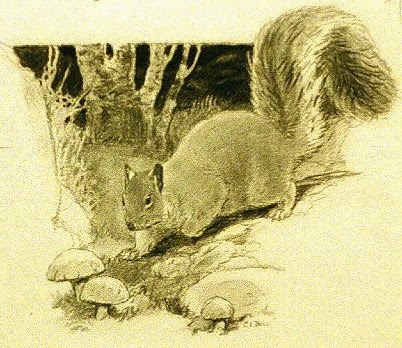 With a growing squirrel population causing much damage to local corn crops, Captain John Scott's militia company organized the hunt. 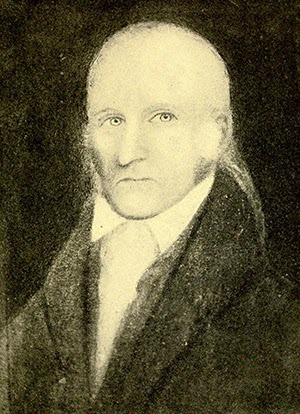 In August of that year, Scott's militia company divided into two groups, with a small wager between them, to hunt down as may of the culprits as possible. The winning side totaled 4,239 squirrels, according to the Western Carolinian newspaper, and the losers totaled 3,322. One-of-a-kind social events like these are just a few of the many topics discussed in An Historical Sketch of Olde Concord, 1796-1860, by Judge Clarence E. Horton, Jr. Other subjects include business and industry, churches and schools, law and government. The book is available at the Concord Library, Lore History Room. Courtesy of the Concord Library, Lore history room.